Teenage parties – and the horrors of gatecrashers, blackened and sticky carpets, binge drinking and cigarette burns – aren’t anything new, but the way in which they are advertised has changed because of the Internet and social networking sites. Even in the early 1990s, one teenager’s parents were horrified when more than 2,000 people turned up to a party to which 100 people had been invited. It transpired that someone had photocopied the invitations and had given them out at an organised ‘rave’ that 20,000 people attended 40 miles away. Needless to say, the house and grounds were severely damaged. Two decades later, teenage parties that are advertised publicly have a much wider audience. 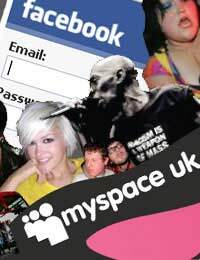 Social networking sites such as Facebook, Bebo and My Space are all platforms from which teenagers and young people can advertise their parties to the rest of the Internet-connected world. There are even groups on Facebook that specifically target teenage parties and arrive en-masse; perhaps not with the intention of causing damage and destruction, but rather because they want to join the party. Unfortunately, large numbers of people at varying levels of drunkenness can cause widespread devastation to a residential property, no matter how good their intentions may have been to begin with. Alongside this is the risk that people will bring drugs onto the premises, as well as the potential for underage sexual exploits. So what are the legal issues in this situation? Technically gatecrashers are trespassing, which is a civil matter rather than a criminal offence. However, if the party has been advertised openly, there may be an implicit invitation to those who attend. Because of the practicalities, it is very difficult to identify and then take action against specific individuals, especially because the natural instinct of parents and other ‘in-charge’ adults is to get the unwanted guests to leave as soon as possible. If your property is damaged intentionally or recklessly by another person without lawful excuse this would satisfy the elements required for an offence of criminal damage under the Criminal Damage Act 1971. However, one of the problems that arises, both during and after house parties, is proving who caused the damage and sometimes, whether or not that damage was intentional. Parents often claim on the household insurance rather than involving the police. If items are stolen, it can be difficult to prove who took them. Although the police will be able to provide a crime reference number if you report the crime, which is essential for insurance claims, the chances of recovering stolen property may be slight. As both invited guests and gatecrashers have entered the house party without forcing their way in, there are still some instances in which burglary can occur if the offender is technically lawfully on the property. If part of the house is intentionally and obviously sealed off from the party, and the offender gains entry (e.g. by breaking a locked door) either with the intention to steal something – or if they actually do steal something – they will have satisfied the elements required for attempted burglary or burglary respectively. ‘Stealing’ is taking something with the intention to permanently deprive the lawful owner of it. It is appropriate at this stage to highlight the law in relation to alcohol. Children over the age of 5 are legally allowed to drink alcohol but the restrictions are in buying alcohol for children and children drinking alcohol in public places. Adults cannot buy children under the age of 18 alcohol in licensed premises, and children can only drink alcohol (wine, beer or cider) in licensed premises if they are 16 or 17 years old and are with adults. However, they cannot buy the alcohol themselves until they are 18 years old. Since the arrival of so-called ‘Facebook parties’, it is rumoured that homeowners who have teenage children who live at home will face higher home contents insurance premiums than before. It is estimated that insurance companies in the UK pay out approximately £17 million a year on claims related to damage caused by children’s parties. In the event that you are considering leaving your teenager ‘home alone’ or if they are having a supervised party, it is worth sitting them down to warn them about the dangers of having a party without adult supervision, and in particular advertising their party online.